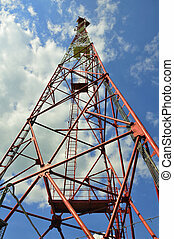 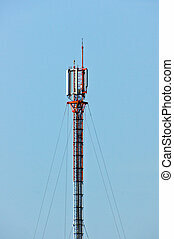 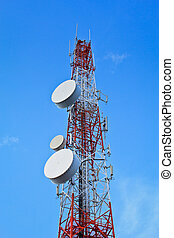 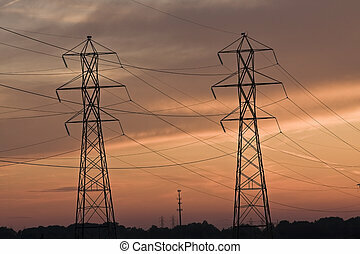 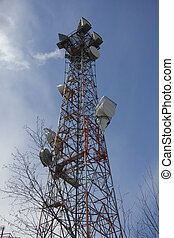 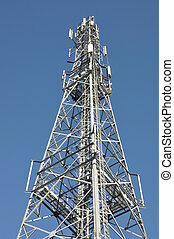 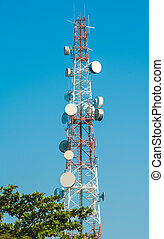 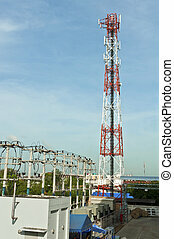 Lattice Tower with cellular antennas. 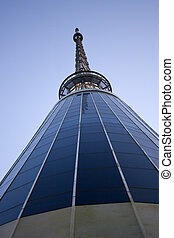 Tower in downtown Nashville, Tennessee. 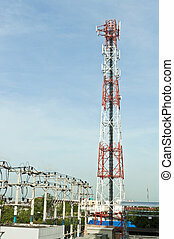 Leg of Lattice Tower - cellular compound. 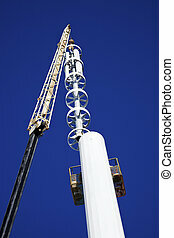 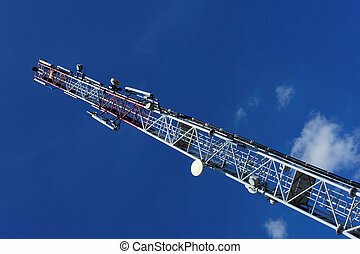 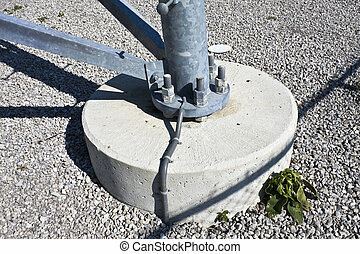 Assembilig cell tower with the crane - installation of the top part with stelath cell antennas. 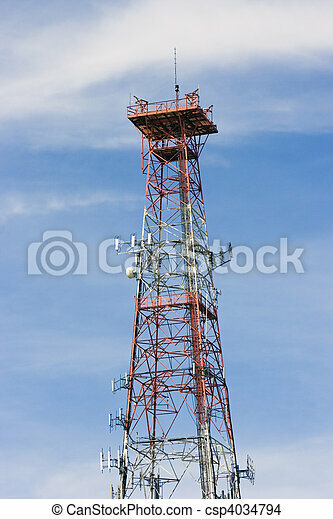 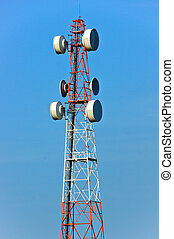 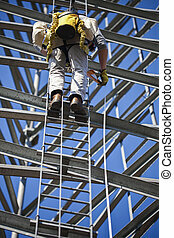 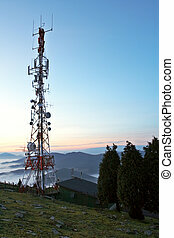 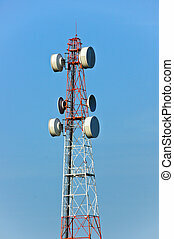 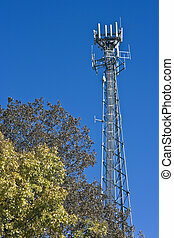 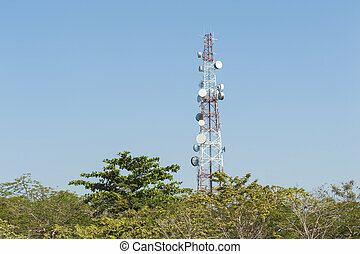 Climber ascending cell phone tower. 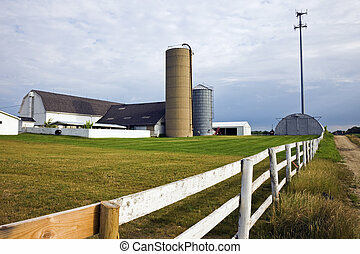 Seen in USA. 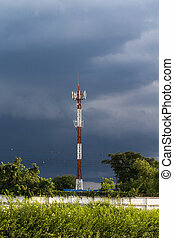 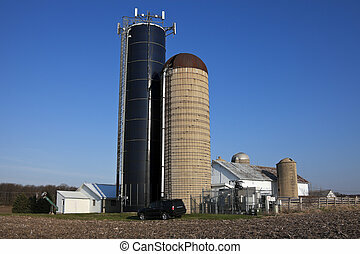 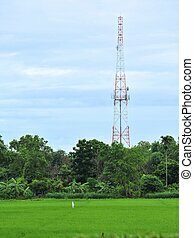 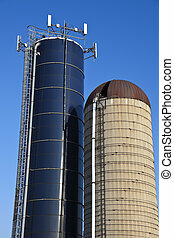 Farm with a cell tower - seen summer time. 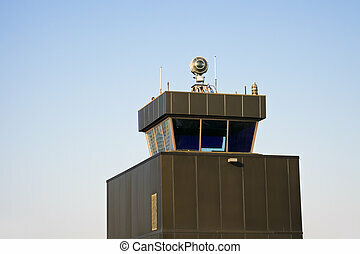 Control Tower - old airport in Chicago, Illinois. 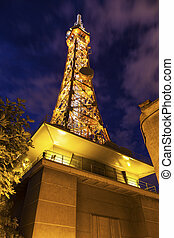 Metallic tower of Fourviere in Lyon. 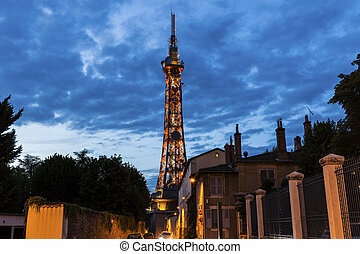 Lyon, Rhone-Alpes, France. 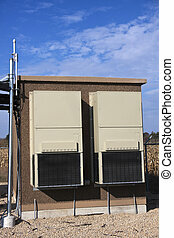 Equipment shelter on the cellular site. 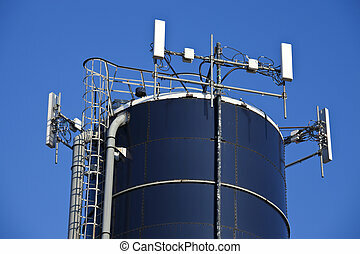 GPS antenna on the left. 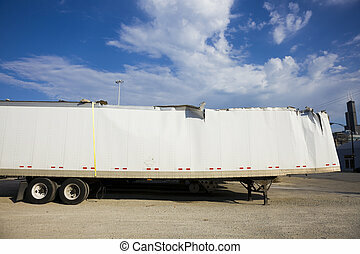 White trailer after accident against blue sky - seen in Chicago.